Innovation is foundational to business leadership. We empower individuals across disciplines to evaluate, orchestrate, strategize, create and hire, but most importantly, we empower others to innovate. 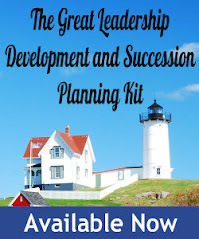 Many leaders may consider empowerment a handoff – a simple process of delegating work. For the most process-oriented tasks, that assumption may be true. But for innovation, responsibility begins and remains at the highest levels of leadership. Empowering innovation begins with our everyday behavior, outlook, commitment and openness to new thinking. Just as leaders deliver big picture messages and strategy, we also set the tone for how organizations innovate. However, we forget about everyday behavior, because it is so basic that even the big thinkers—the super smart innovation architects—often assume that everyday behavior will automatically change once a great system is in place. The maxim “everything looks like a nail to a hammer” is an excellent reminder that every successful innovation effort relies on the people—and all their fears, emotions, and humanness—who must fuel it. Innovation is fundamentally about people; their assumptions, subconscious thought patterns, daily actions and habits. Taken together with all the other trappings of business management — procedures, rewards and penalties, social dynamics, unspoken rules and, of course, stress—it’s easy to see how innovation yields a wonderfully messy, organic and complex environment. Above all, behavior drives results, and if leaders fail to address daily behavior, even the greatest strategies and plans to drive innovation are doomed to fail. A managerial culture that strives for efficiency, leanness, speed and quality above all else is often in conflict with a culture of innovation, which must make room for experimentation, learning from mistakes and unexpected connections through exploration. As the leader of a company your behavior is amplified and seen as the true north to how things are done in the company. Your words do not matter, if you behave contrary to them! 2. Your words do matter when they are aligned with your actions. Language is a powerful tool to rally and unify people – especially around innovation. Choose sticky language, use it, help people make it their own to align and inspire people to embrace an innovative mindset and innovation behaviors. 3. Strive to decrease status. Be human, real and authentic to encourage participation in innovation activities and initiatives. Be present and supportive for all innovation related events and initiatives. Being engaged sends the message that innovation is important and worthwhile of your time, which means it is important and worthwhile for the people who you lead. 5. Be bold in your behavioral declaration. Create a behavioral manifesto or credo. Publicly state that you will personally strive to uphold the behaviors you have stated in the credo. 6. Frequently ask others to evaluate, metric and assess your behavior based on your declaration. Invite constructive criticism to demonstrate your desire for continuous improvement and a willingness to change – two key elements of innovation. We all know that how we function in a team, communicate and collaborate with others is the key to successful innovation, and there’s no better place to start than at the top. An innovative mindset reevaluates the nature of innovation and shows how a change in perspective can lead to more dynamic, successful endeavors. John Sweeney is the co-owner and executive producer of the Brave New Workshop, America’s oldest satirical comedy theatre. He uses his 20+ years of improvisational performance, speaking and training to influence human behavior and to create simple but groundbreaking tools that have ignited cultures of innovative behavior within such companies as Microsoft, PWC, General Mills and UnitedHealthGroup. 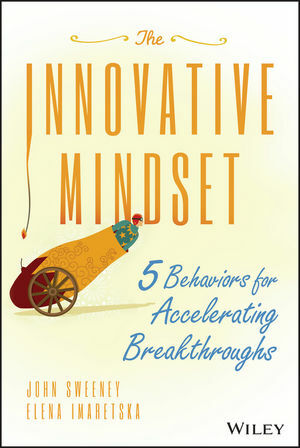 His new book (with Elena Imaretska) – The Innovative Mindset: 5 Behaviors for Accelerating Breakthroughs – is available now from Wiley. Visit www.wiley.com to find a bookseller near you.